Natural Pool ATV Adventure: The tour takes you on an adventurous experience visiting the best sightseeing places in Aruba: the amazing Natural Pool, Baby Bridge, Bushiribana Gold Mill Ruins, and Alto Vista Chapel. Get prepared for a cool deep splash at the Natural Pool. Maybe you will meet some 'locals' as we stop at great places along the road, like the "Awa di Coco" spot and much more! Also known as the 'pilgrims church' is located at the hills of the north coast of Aruba. Come ready to buy and taste the best 'awa di coco', souvenirs are also available. This natural wonder is located at the Arikok National Park. Note that the entrance fee (only for adults) cost $11 per person. This fee will be collected prior to tour start time. The home of the Natural Pool. Entrance for adults is not included in the tour. if You want an intense ATV expirance and adventure this is it !!! You will be riding fast up and down hills . You will get dirty !! Must wear goggles and face mask. This was a super fun trip and the number one thing we would do again in Aruba. Crazy terrain, an awesome guide, and some incredibly beautiful sights that you wouldn't even know were there without off-roading. Highly recommended. Very exciting tour! Not for the faint of heart as some of the riding is tough. Double rider ATV are great and make it really fun. Highly recommend. Great tour. Our guide Jesse was fantastic. Highly recommend this tour group. Great tour with axel. Saw the best of he best on the island and had a blast. Axel is extremely fun and knowledgable about aruba. Highly recommending this ATV tour. SO MUCH FUN! This was a great ATV tour. My friend and I had a blast! 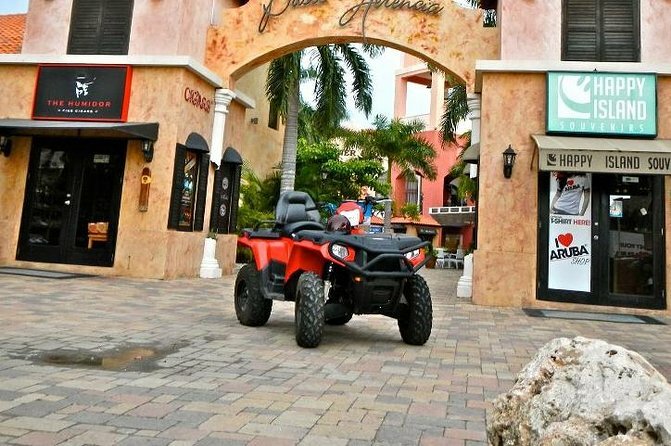 I am somewhat of a local in Aruba and have gone to all the spots with an off roading jeep rental, but I personally loved going with an ATV better! I was scared at first because I knew the roads were very rocky, but my friend who has never driven one drove it perfectly fine! Also, I was afraid we were not going to have enough freedom at each of the destinations, but our tour guide Jessie gave us enough time to explore, take pictures, and enjoy our time! He was also super nice and took lots of pictures for us as well as a slow motion video when we jumped off the rocks into the Natural Pool! So if you are an adventure junkie, this is for you! We went through Arikok National Park to Natural Pool jump in and enjoy the emerald colored water, drove back up to the Goldmine you can buy drinks and food here, straight to Natural Bridge Jessie takes pictures for you, then to the chapel where you can get coconut juice or smoothies! One note is that this tour does NOT take you to any of the bat caves, which this Viator company said it would. Also, it is not a tour where they give you historical facts. 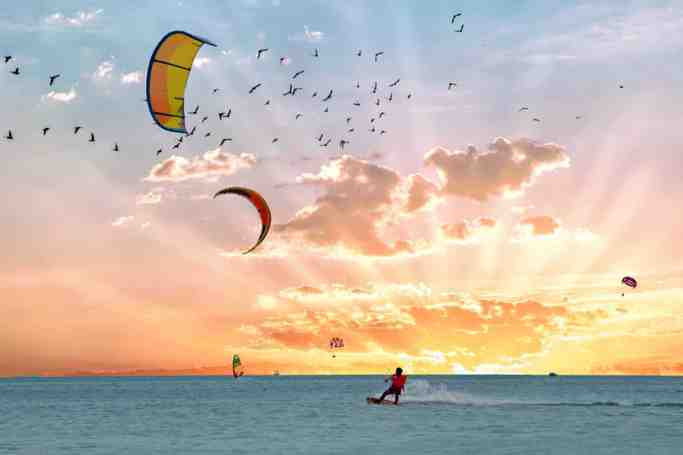 Nonetheless, you get to see some of the natural wonders that Aruba has to offer! Lastly, you can buy bandanas not the original ones though and goggles or sunglasses! Definitely recommend taking frozen water bottles and sunscreen because it gets super hot! There is a tiny compartment in the back of the ATV, but I would take a tiny backpack or fanny packs for some money, phone, and wet wipes! Oh! If you are going to take a GoPro a must!, I do recommend taking a portable charger or USB charger! A lot of people needed to charge their GoPros half way through the tour, but we noticed that there was a USB port on one of the ATVs! Jessie was awesome and this ATV tour was the best! I definitely recommend it!